Jonathan S. Forester is a partner with the firm. Mr. Forester represents contractors, owners, insurers, self-insureds and subcontractors in complex property damage and injury claims. Mr. Forester has represented clients in claims relating to commercial buildings, highways, bridges, theaters, airports and various other construction sites relating to contractual breaches, delay and disruption damages and construction defects including moisture intrusion, roof damage, structural defects, construction vibration damage, and fire or explosions. He represents and advises construction-related entities and other businesses through contract negotiation and drafting, as well as the filing of liens and recovery of funds owed pursuant to the Louisiana Private and Public Works Acts and federal Miller Act. Mr. Forester is adept in the trial courtroom and also argues appeals. He regularly gives seminars regarding all facets of construction law. In addition, he has served on the Federal Bar Association’s Younger Lawyers Division Board of Directors since 2016. 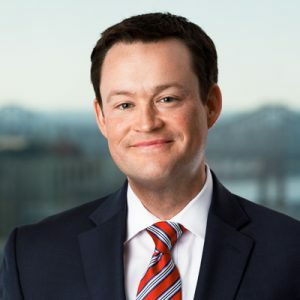 Mr. Forester has been selected for four years (2014, 2015, 2017 and 2018) as a “Rising Star” in the field of Construction Litigation by Super Lawyers publication and was a finalist for the Louisiana Association of Defense Counsel’s 2017 Maraist Award. Obtained lowest and nominal settlement figure of 20+ defendants for defendant contractor against claims by 75+ plaintiff homeowners alleging vibration and dewatering damage related to large drainage project in New Orleans. Successfully argued at Louisiana Fourth Circuit Court of Appeal obtaining insurance defense and coverage for client contractor in significant personal injury electrocution case. Obtained favorable ruling with regard to DBE hearings before New Orleans airport board regarding DBE contractor. Obtained Judgment requiring defense and indemnity in favor of a general contractor and against a subcontractor’s Commercial General Liability insurer. Successfully argued prescription at Louisiana First Circuit Court of Appeal on behalf of dirtwork client contractor regarding catastrophic settlement of newly constructed building. Obtained dismissal of indemnity claims for general contractor relating to significant damages to upscale condominium renovation project. Defended commercial contractor in significant building envelope moisture intrusion and mold claim arbitration involving commercial building with property damage claims in excess of $12 million. Obtained favorable settlement for specialty masonry restoration subcontractor in litigation against upstream Contractors and federal government on a federal pump-station project. Represented subcontractor on a federal project asserting and defending multi-million dollar change order and additional work claims. Represented numerous contractors related to alleged ultra-hazardous pile driving claims and involving historic structures. Represented contractors on highway construction projects relating to vibration claims and vehicular accidents. Successfully negotiated contracts involving all forms of construction delivery methods for developers, general contractors and subcontractors.